In reviewing this Federal appeal, the Eleventh Circuit Court of Appeals considered, among other authority, Center for Medicare and Medicaid Services’ Medicare Benefit Policy Manual, which provides guidance on reimbursement applicable to Medicare Part B coverage. According to that manual, “[i]n order to meet all the general requirements for coverage under the ‘incident to’ provision . . . the cost of the drug . . . must represent an expense to the physician.” Pub. No. 100-02, Ch. 15, § 50.3. Further, the Court determined, the manual requires that drugs be “safe and effective,” and drugs are only safe and effective when “used for the indications specified in the labeling.” The Court also relied heavily on a Local Coverage Determination by the regional Medicare contractor, which said: “Each vial should only be used for treatment of a single eye. If the contralateral eye requires treatment, a new vial should be used.” Thus, HHS, through its contractor, determined that Medicare would not reimburse for multi-dosing Lcentis. The Court rejected arguments by VRC on appeal that Medicare reimbursement is not related to the physician’s expense. The Court determined: “Nothing in the statute forbids the Secretary from relating Medicare reimbursement to the physician’s expense. 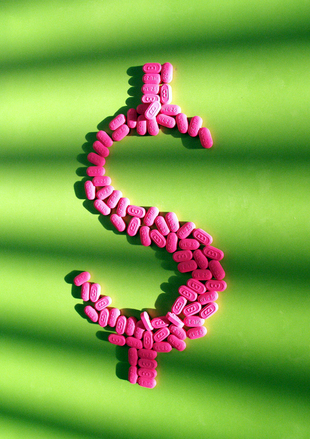 On the contrary, the very concept of ‘reimbursement’ contemplates payment for money that was actually spent.” The Court found that VRC’s “extraordinary profits arose from using a single-dose-approved vial for three patients, in violation of the FDA-approved instructions.” The Eleventh Circuit Court of Appeals affirmed the lower court’s decision. Medicare (and other third-party payer) reimbursement continues to play a vital and evolving role in our healthcare industry, with tremendous financial stakes for most healthcare providers. Our Atlanta and Augusta-based business and healthcare represents medical practices, healthcare providers and healthcare businesses. If you have questions about this post, contact us today.